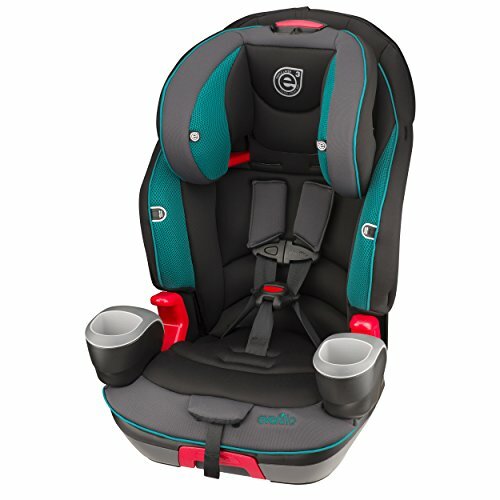 How does a parent go about choosing the best booster car seats for kids to ensure the safety of any child or children on board? Nowadays, people tend to drive much more than they used to. And children? They spend much more time in cars than they did before vehicle seats were utilized. Thus, safety measures are more widely used now. Even though the an increased demand for seat belts and car seats means the number of automobile injuries and deaths has declined, there are still millions of crashes that happen in the US every year. A rough estimate from the National Highway Traffic Safety Administration (NHTSA) shows that an average of three children were killed in automobile crashes every day in 2013. Car seat belts are designed to fit adult bodies and not children. 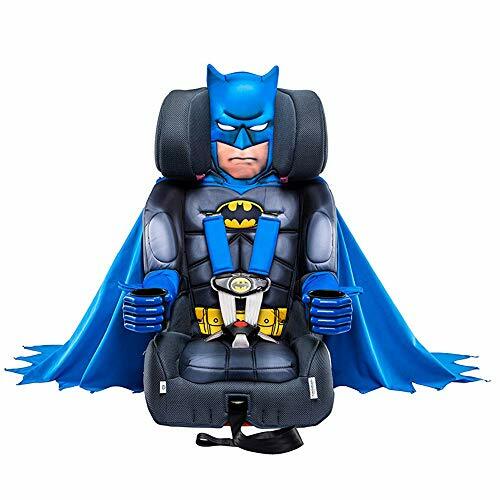 Thus, a booster seat is what is needed, since it ‘boosts’ your child high enough for your car’s lap and shoulder belts to restrain them safely. 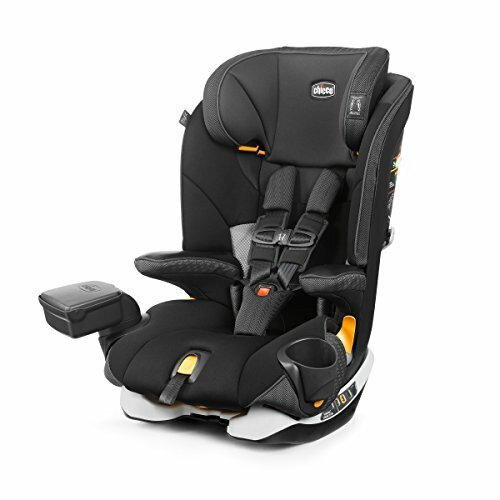 Without a booster seat, an adult seat belt can actually cause injuries during a crash, rather than protect the child. So evidently, booster seats are needed and helpful since accidents can happen anytime. It is a safety precaution that does not take too much time and effort to buy and use. It’s better to be safe than sorry, right? So go out there, look for the best booster car seats for kids and be a responsible parent. 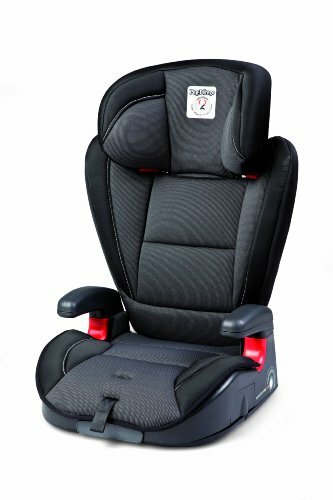 How to choose the best booster car seat for kids? 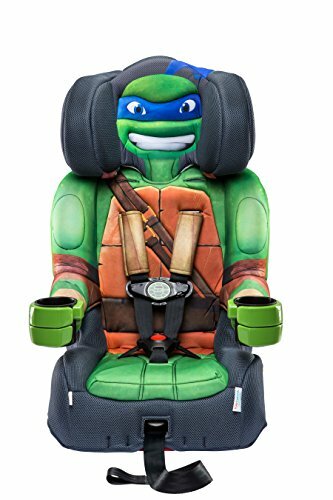 In choosing the best booster seat, first, do not rush into your decision. This means that if your four-year-old has not hit the weight limit yet, then keep them in a child-restraint seat. But if your child is three years old and has already reached the weight limit of his car seat, then you need to switch sooner. Second, choose between a high-back or backless booster. The former tends to position the shoulder belt better than the latter since it has shoulder-belt routing guides. A high-back booster is also a good choice if your car does not have a headrest in the back seat. A backless booster seat, on the other, is normally cheaper. However, make sure to look for the product with a clip that can help guarantee to make the shoulder belt stay in the right position. This one also has better lap belt placement. Third, test the booster seat first before buying it. 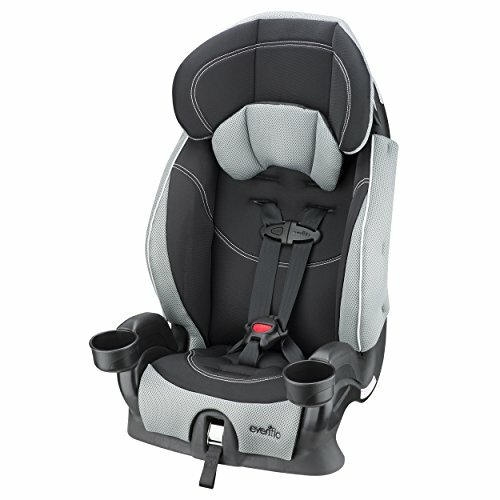 Make sure the booster seat is doing its job of raising your child up, so the adult seat belt fits well and will protect your child during a crash. The lap belt must fall across the upper thigh, not on the abdomen of the child. That way, the force coming from a crash is absorbed across the bones of the pelvis and not on the soft stomach tissues, since these are vulnerable to internal injury. Also, the shoulder belt must fit securely across the center of the shoulder, not too close to the neck nor falling off the shoulder. 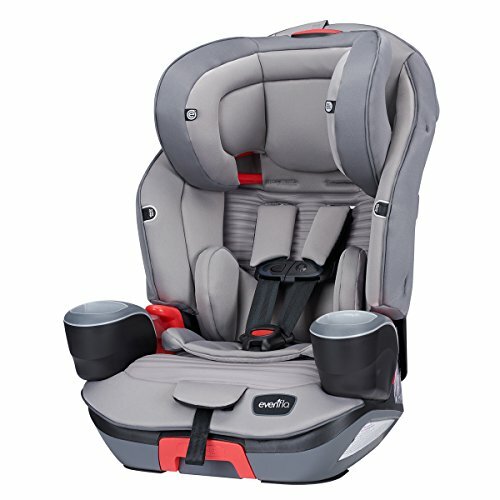 What to look for in the top 5 best booster car seats for kids? 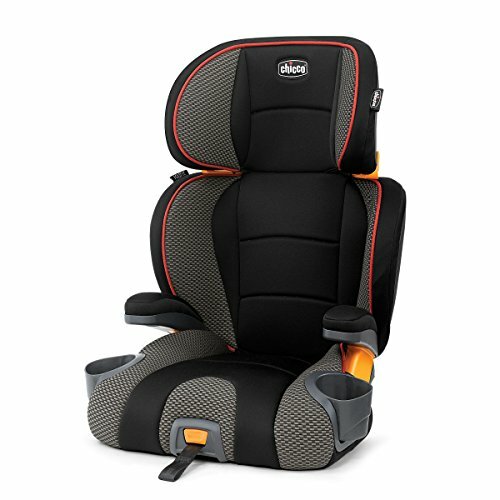 The things you have to look for in a good booster seat include having the right size and fit for your child as well as being easy to use. 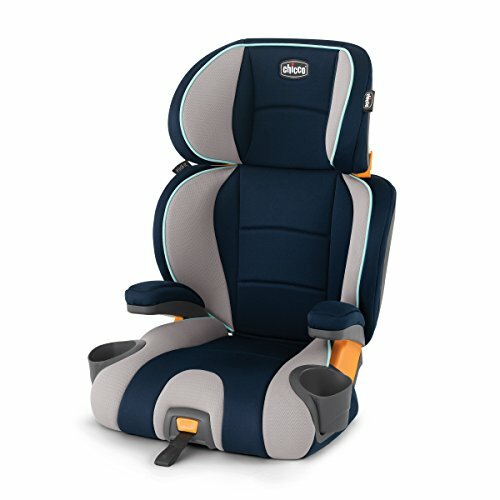 So say your child weighs less than 40 lbs, then you need to consider using a combination booster seat, which grows with your child and converts to a booster seat when the right time comes. 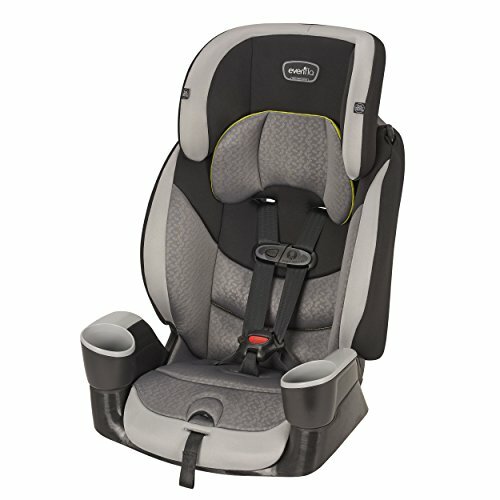 The best booster car seats for kids should have a removable five-point harness that is similar to those used in regular vehicle seats. 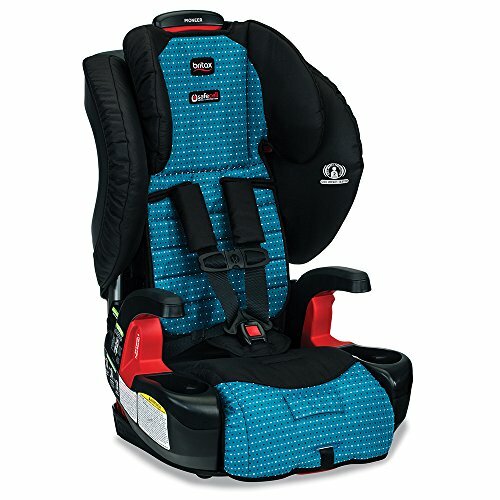 Look for the best harness as well, which has numerous harness strap height settings, as this would benefit your child especially if they are tall. 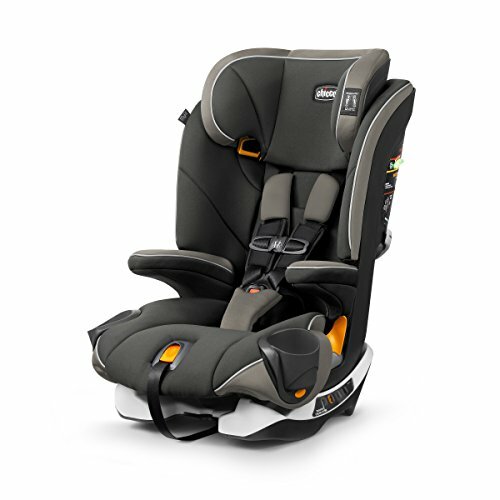 Avoid older combination seats that have a T-shaped shield or plastic tray bar too, since these distribute the force of a collision to the child’s belly, which is a vulnerable area. It is not comfortable as well, so look for a booster seat that does not have this. In addition, stay away from those with a recline feature because they put too much pressure on a reclining child’s groin during a crash. Take note that the normal angle of recline for a vehicle’s seat back is around 20 to 30 degrees from vertical. More than 30 degrees will put your child at risk as they could slide under the seat belt during a crash. If you are a parent, you surely want to keep your child safe. So during car rides, it is better to have a booster seat for children. 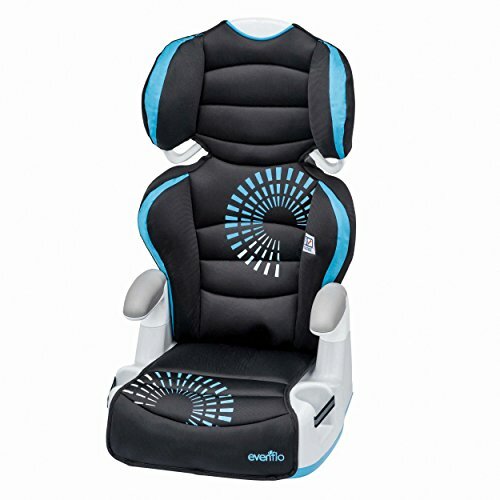 Thus, you may want to try a booster seat known for comfort and safety: the Graco Affix Youth Highback Booster Car Seat. 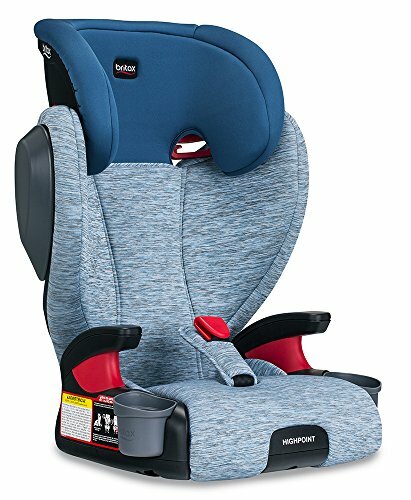 The Graco Affix Youth Highback Booster Car Seat is a 2-in-1 booster seat that can transform from high-back to the backless mode when your child is ready. It is easy to install with just one hand. 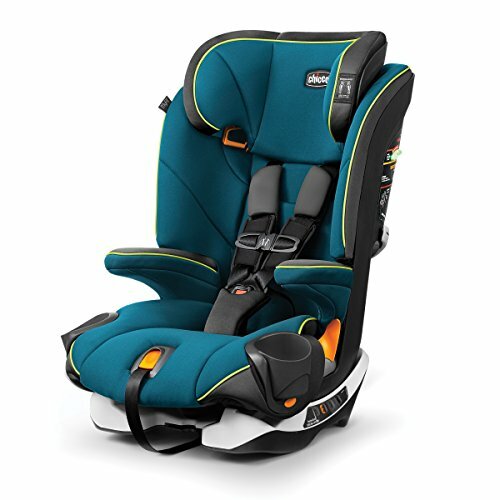 It also has a front-adjust feature to easily and quickly tighten it to the car seat and keep it in place. 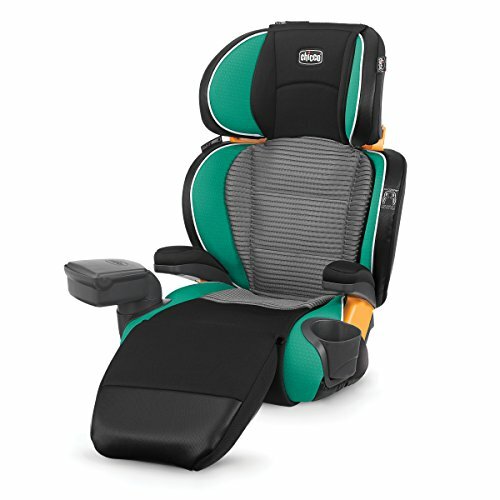 The headrest makes your child comfortable as well, with a full coverage back support and several layers. And since the booster seat stays securely in place, your child can self-buckle. 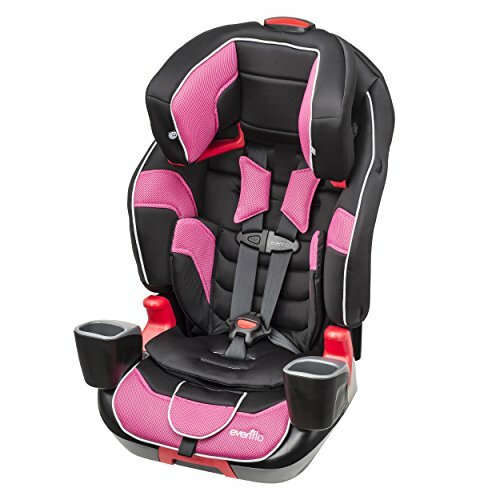 The headrest is also fully adjustable to attain the proper fit, making your child safe and secure. In addition, it comes with an integrated cup holder that can be used for snacks, bottle water or cup. There is a hideaway storage compartment too, which is ideal for storing small toys and games. The seatbelt looks flimsy since it keeps coming out of the car seat. The push button is not reliable as well since it does not press tight enough to hold latch straps snugly. Some customers even received this product in a not so brand new condition, having dirt stains. There were even crumbs found in the creases of some of the booster seats. 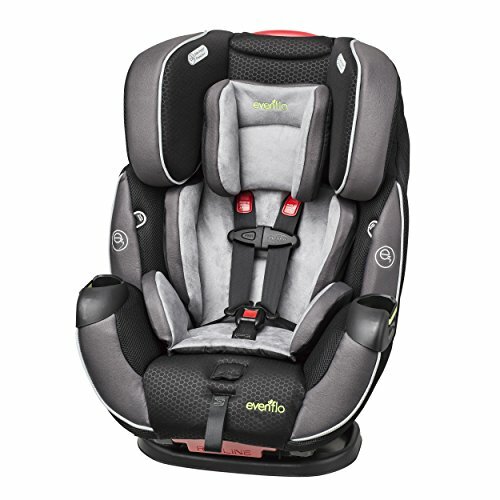 In the end, the Graco Affix Youth Highback Booster Car Seat is still an acclaimed product and certainly one of the best booster seats for kids. 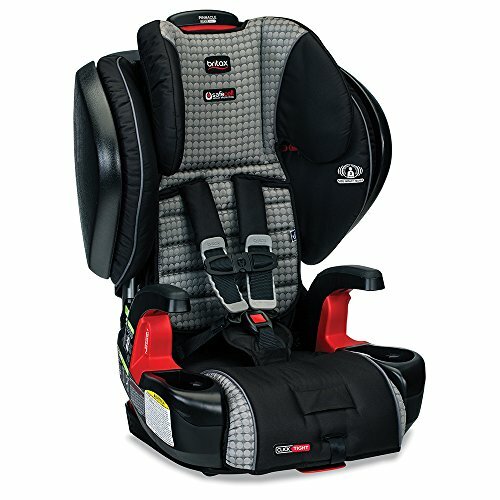 Due to its design, you are sure that your child will receive optimum comfort and style. 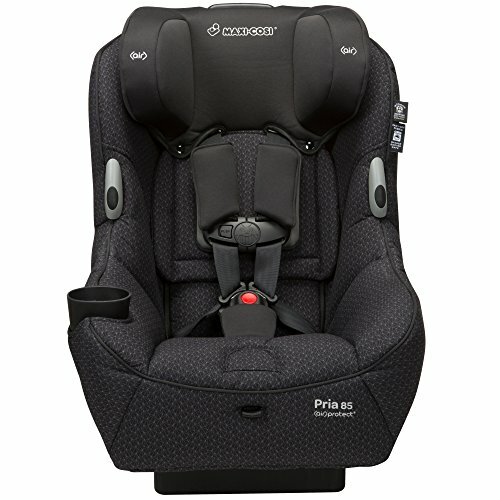 It grows with your child as it starts as a high-back seat, then becomes a backless one when your child is big enough for it. Truly, you get to buy a long-lasting product. 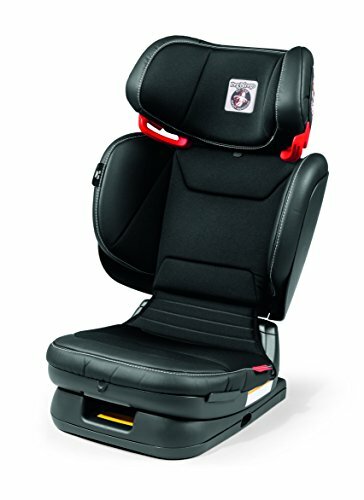 This booster seat has a fully-adjustable headrest as well, keeping your child safe and comfortable. It has open-loop belt guides too that assist you in positioning your vehicle’s seatbelt correctly. And yes, this is rigorously siding impact and crash tested, so you are sure that this can really do the job. 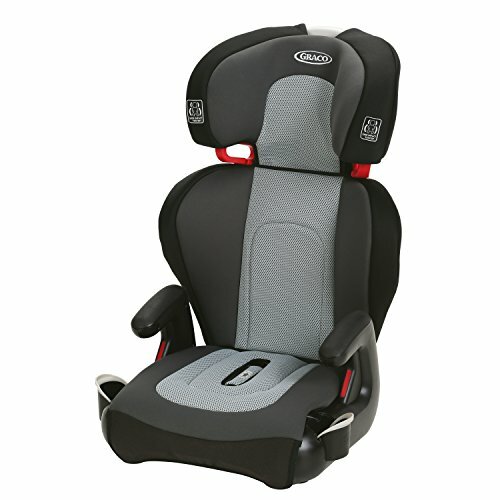 Worry no more when it comes to safety car products intended for children because booster seats are here to the rescue. 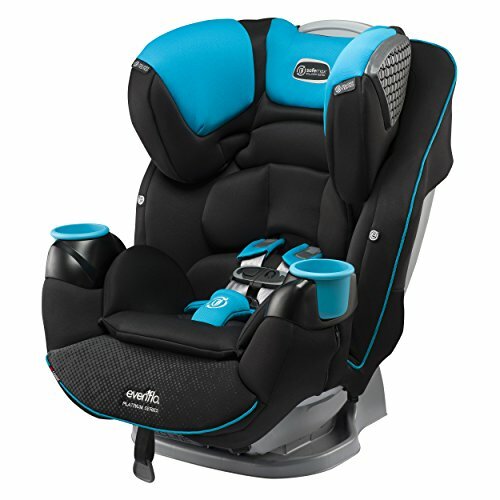 And to be more specific, here is the Evenflo Amp High Back Booster Car Seat that may just be what your child needs. 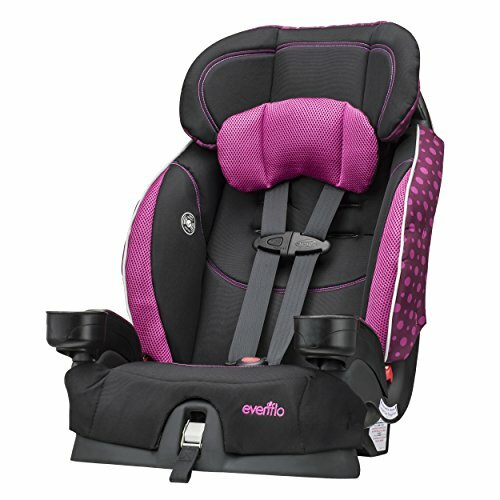 The Evenflo Amp High Back Booster Car Seat has belt paths that assist you to position your child’s seat belt. It also transitions into different styles to handle the changes in weight and height of your child. It comes with dual cup holders as well in order to keep drinks and snacks close. 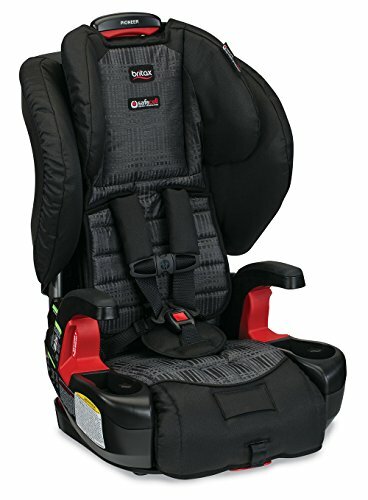 In addition, this booster seat is designed and tested for structural integrity so that it can withstand twice the energy of the federal crash standard. It has been tested for side impacts too. And as a parent, it is a bonus that this seat is easy to assemble and clean. 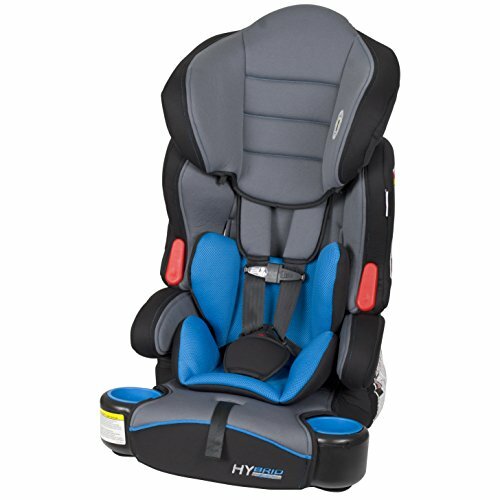 The head supports act as pillows to hold your child’s head upright while sleeping and keep your child safe by protecting their head during a crash. Indeed, this booster seat is not just for comfort but for safety as well. The height adjuster does not work that well and the top of the seat has problems which leaves the seat less stable and bouncier. It lacks head support as well, according to some customers. What’s more is that children are not always comfortable sitting in it. Plus, the hard plastic tends to make it bend and flex in an unsafe way. 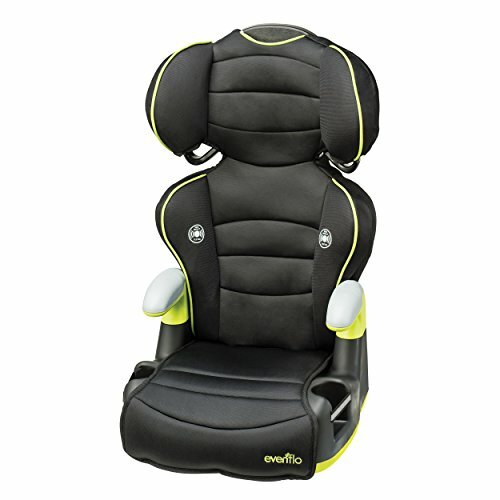 The Evenflo Amp High Back Booster Car Seat remains recommendable despite negative reviews. For one, it contains padding around the head and body, allowing your child to sit comfortably. 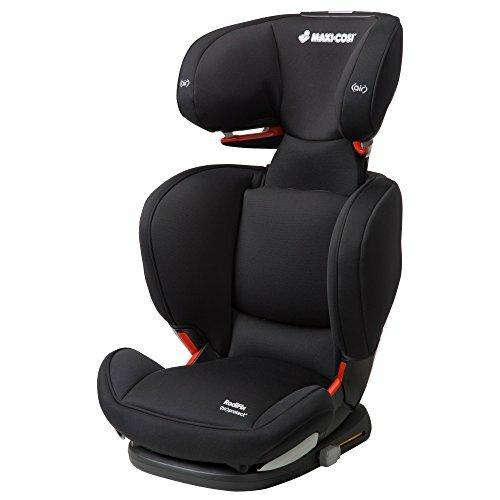 Also, it transitions to a backless booster seat when your child is ready. It is easy to assemble and clean, which means less hassle for you. In addition, its dual cup holders make it easy for your kid to grab snacks and drinks. Further, this seat can transform into six various heights to accommodate what your child needs. Are you having problems with your booster seat? Perhaps you need a new one. 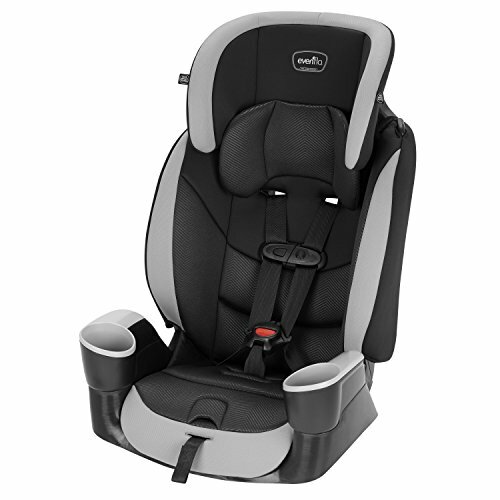 To help you out, here is the Graco Highback TurboBooster Car Seat to show you how it can help your kid feel safe and comfortable during a car ride. 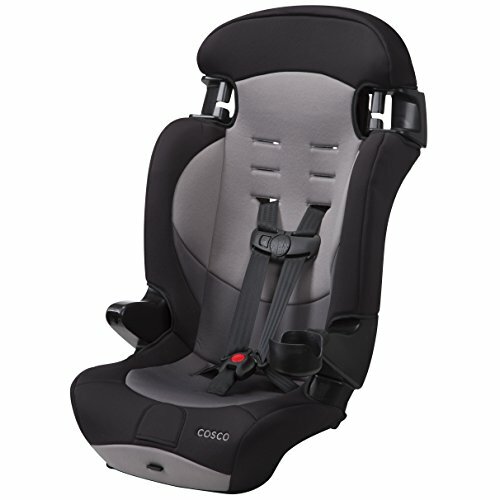 The Graco Highback TurboBooster Car Seat contains several layers for the headrest to assure your child’s comfort. 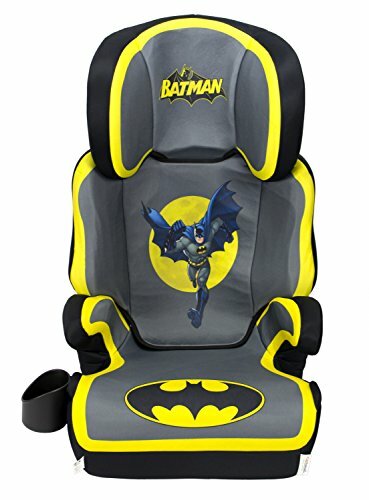 It converts into a no-back booster seat as well when your child is big enough. 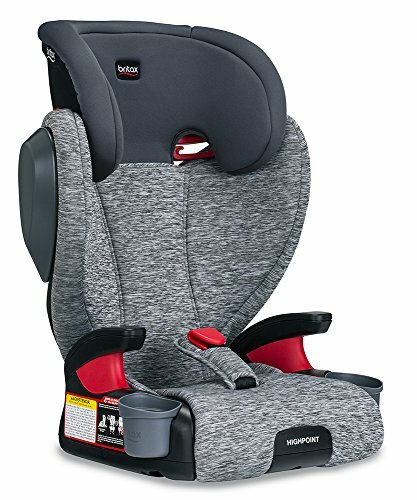 It also received a title from the Insurance Institute for Highway Safety as a ‘Best Bet Booster Car Seat’, so you are guaranteed of its ability to keep your child safe. 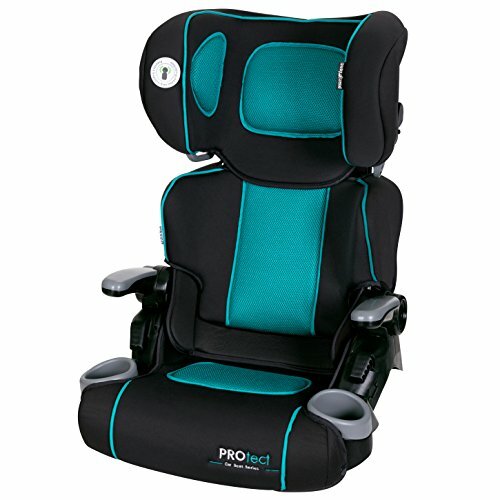 What’s more is that it has a full coverage back support feature (when in high-back mode) to achieve prime comfort and support your child they grow up. 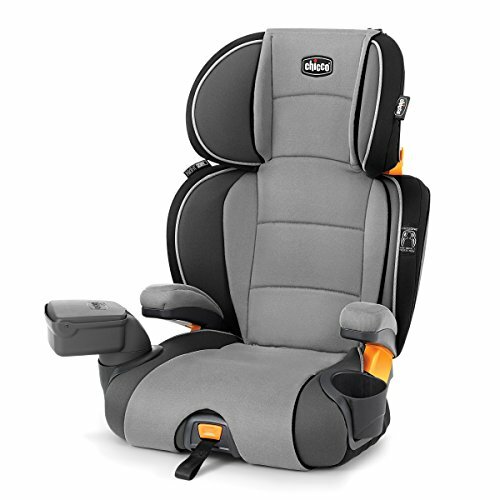 It has a fully adjustable headrest too, keeping your growing child secure during car rides. The open-loop belt guides are a thumbs up as well since they help in positioning your vehicle’s seatbelt easily. This also benefits your child to be independent as they can buckle on their own. The wide and padded armrests are very soft for again, comfort. In addition, the integrated cup holders hold drinks and snacks while the storage keeps toys in place. This booster seat, according to some customers, is flimsy and not safe. This is because the lower part does not connect very well with the back part, showing poor design. 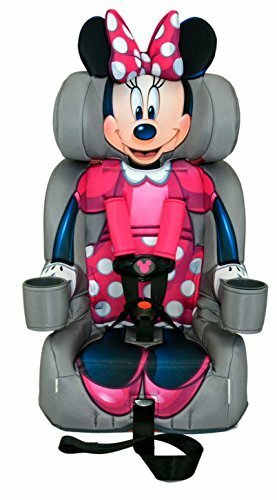 It is also not very ideal for cars that have forward-leaning headrests in the back seat since this booster seat is intended to be seated against the back of the seat. With forward-leaning headrests, this is not possible. Some children also complained how uncomfortable they felt while sleeping in this seat. They often wok up with neck pains, probably because this seat can’t position them well enough. Buckling themselves is not that attainable either, due to the seat belt constantly slipping out of the holder. 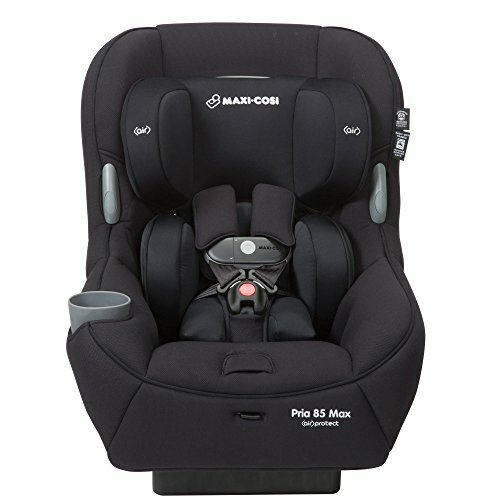 The Graco Highback TurboBooster Car Seat is a product that many customers still recommend, even with the negative reviews. It has EPS, or energy-absorbing foam, which helps make an impact energy management effective. It is a product that you can keep for a long time too because it can transform from a highback to a backless seat. To add, the armrests are padded and height-adjustable. 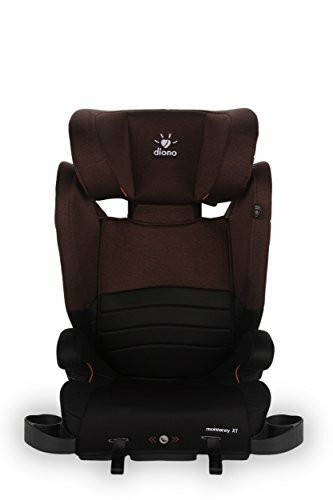 Another adjustable feature is the headrest which is responsible for protecting your child’s head and making it comfortable. Children need a lot of protection and care when growing up. And as a parent, you want nothing but the best for them. So during car rides, don’t choose just any booster seat for your toddler. Rather, try the Evenflo Maestro Booster Car Seat. 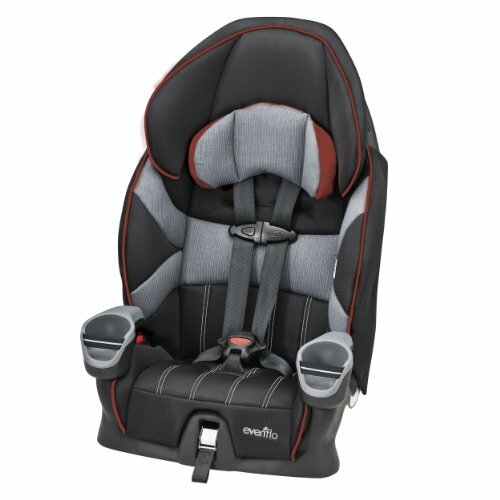 The Evenflo Maestro Booster Car Seat has a belt path that is auto-adjustable to correctly place the seat belt for your child. 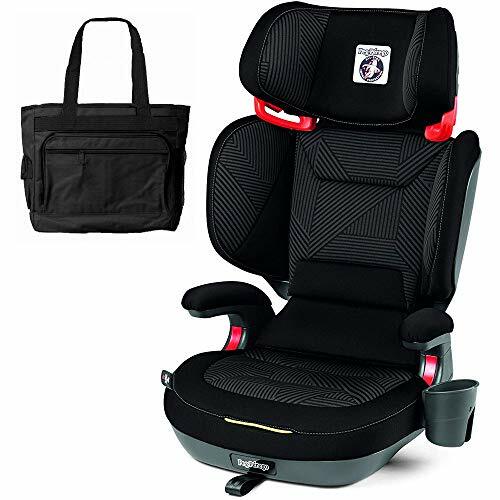 It has integrated dual cup holders as well to keep drinks and snacks close to your child. 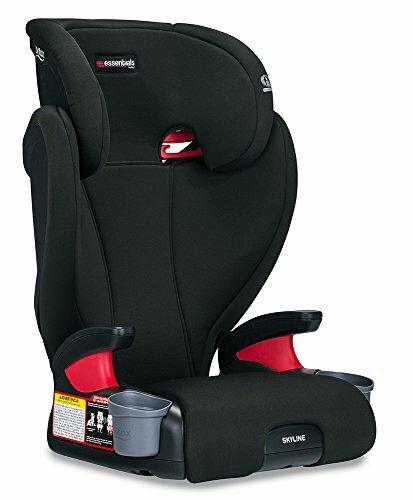 This is a booster seat that can convert from a five-point harness to car seat belt use too. And yes, it has passed severe test standards like side impact tests and all federal safety standards. The multiple harness and crotch buckle positions include four shoulder positions for the former and two positions for the latter. These are all used for extended use during your child’s growing years. 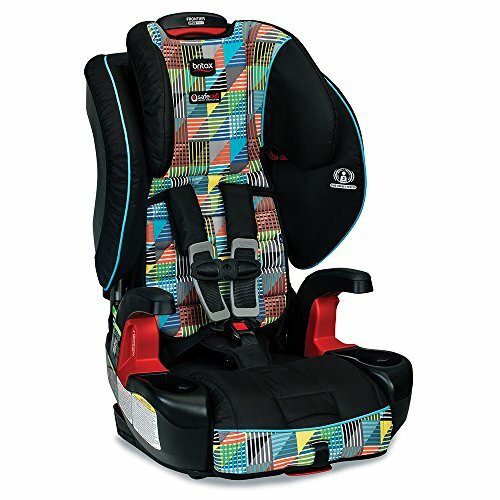 The upfront harness adjustment is simple to tighten and loosen too, which makes it possible for your child to be put in and out of the seat without exerting much effort. 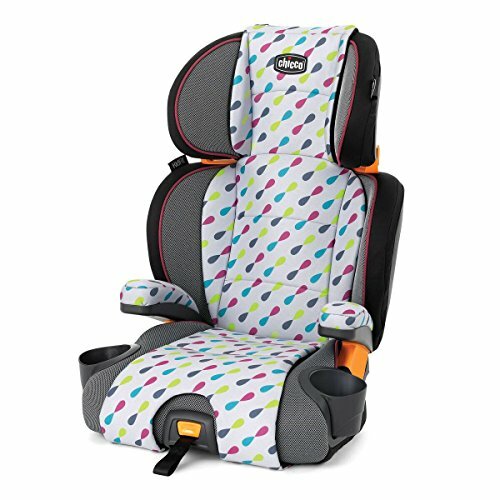 A ‘Best Bet’ title holder, this booster seat is light and easy to install. Its seat pad is soft and washable too, which pleases parents. 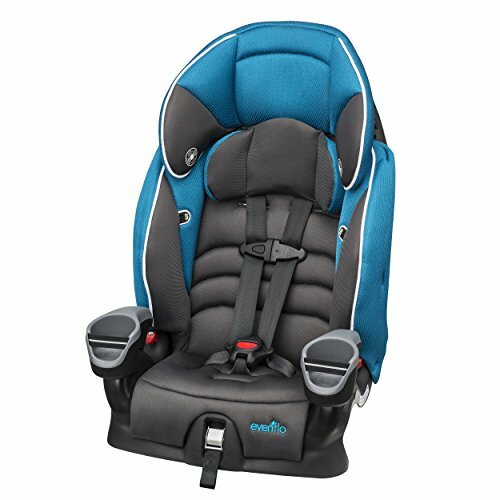 Moreover, it has a headrest that is unique-shaped to guide the belt around your child’s shoulders and neck to attain a perfect fit. There is a sharp edge on the bottom of this seat that parents perceive as quite dangerous for children. The latch system works poorly too since it comes from midway up the seat rather than from the bottom. You have to pull the latch system very tight so that the bottom will not slide out. But pulling it tightly also means having very tight belts. Now the problem is that you can’t easily loosen them up, so you may just have to cut them if you are desperate. 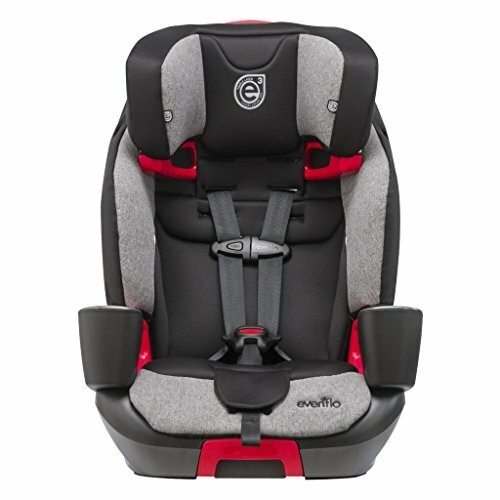 The Evenflo Maestro Booster Car Seat is still very much acclaimed despite its flaws. 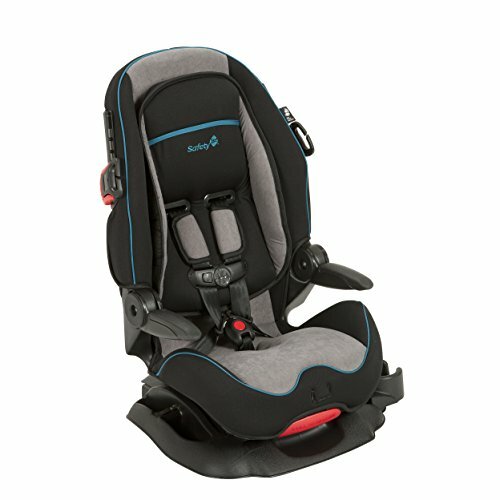 This is because it has passed several tests and met and exceeded standards to prove its capacity to secure your child and make them comfortable. The auto-adjustable belt path is a thumbs up as well since it helps in correctly positioning your child. The integrated cup holders securely hold snacks and drinks too so your kids can easily grab them. It is easy to install and the seat pad is soft and washable. Booster seats are intended for children’s use when in car rides. They assure that children are comfortable and safe when accidents occur. 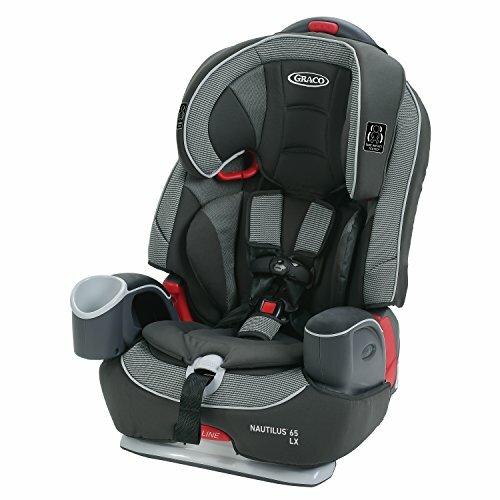 So in choosing one for your child, one of the options you could consider is something from Britax. 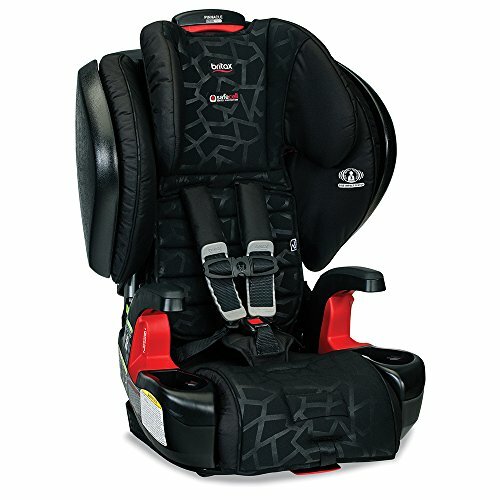 And that can be the Britax Frontier ClickTight Combination Harness Car Seat. 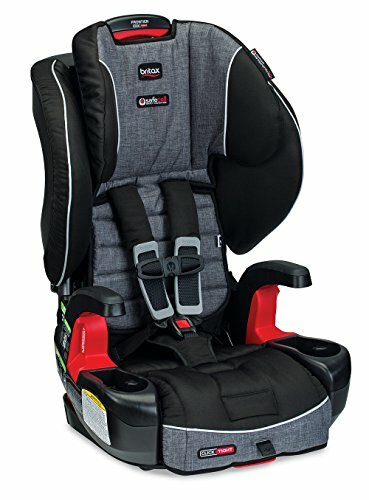 The Britax Frontier ClickTight Combination Harness Car Seat has a rock-solid installation, all thanks to its ClickTight installation system which gives optimum protection to children with just one click. Another amazing feature is its SafeCell impact protection which is an integrated system that includes safety components such as a steel frame, energy-absorbing base and impact-absorbing tether, and staged-release stitches. They all work together to decrease and slow down forward movement during a crash. Further, it contains a smart design that makes it versatile in holding smaller children. It then transitions to a normal booster when your child is ready. Its harness can be easily adjusted too, having nine positions. And, with just a push of a button, you can change the height of the seat. The headrest received a lot of shaking heads from parents since it sits too high. What’s more is that it looks cheaply made and way too thin. The harness is not very easy to adjust, so children can’t harness themselves in without help from an adult. This booster seat seems a bit heavy, as well, to move between vehicles. There were mixed reviews for this product. But the good news is that it is still recommendable for purchase and use. 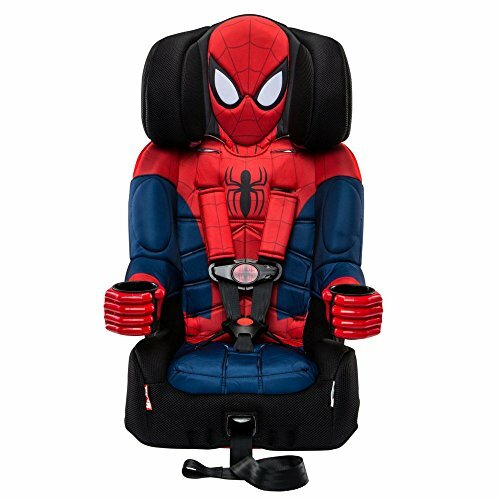 Its features such as the ClickTight installation system and SafeCell impact protection are really very good since not all booster seats contain that. For the part of the parents, they indeed help with easy installation and use. 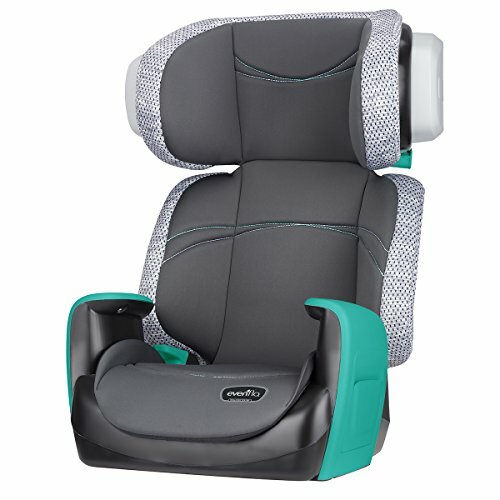 The smart design of this seat is also a plus point since it holds smaller children well and transforms into a normal booster seat when the child is old and big enough. 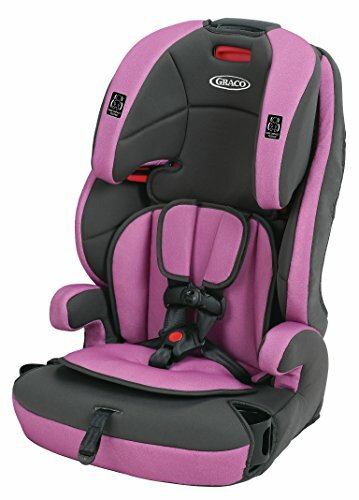 So there you have our top picks for the top 5 best booster car seats for kids we would recommend. 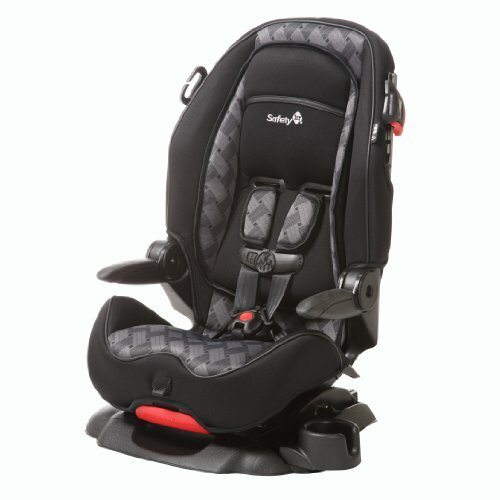 You can find our other reviews here or car seat buying guides here. 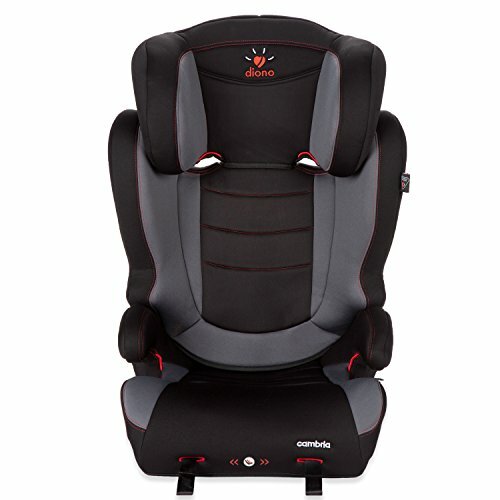 We would love to hear your opinions and views about our list of the best booster car seats for kids.